My first experience with dance class. But you could DEFINITELY tell I didn't know what was going on. 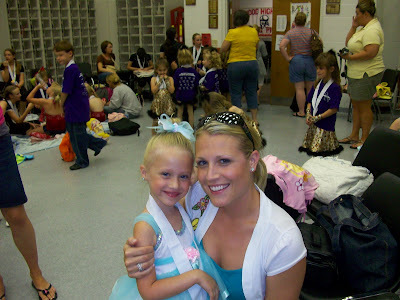 Mia's teacher was so WONDERFUL and Mia learned SO much. When I look at these adorable pictures, I sure hope she does! 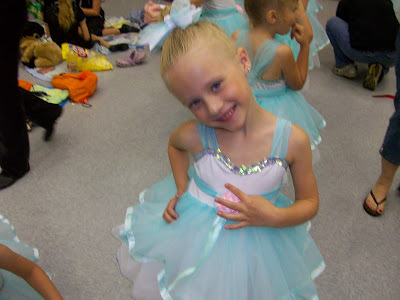 My little TINY DANCER Mia. How cute are their costumes?! I made all the bows for her dance class.... so fun! 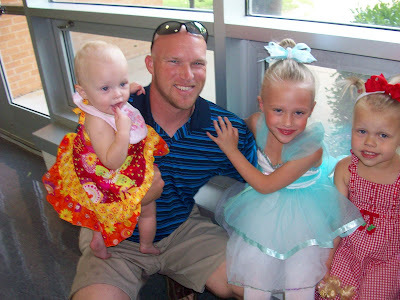 Daddy and his girls after the show. Mommy and the big girls. 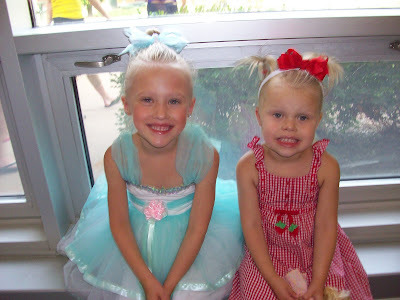 Mia and Sophie posing post-performance. I love SUNNY, SQUINTY SMILES! 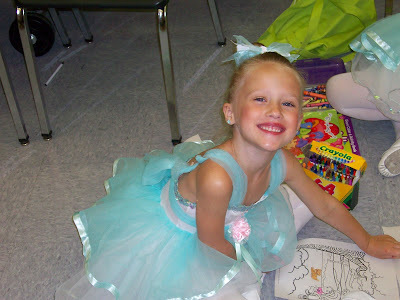 The final picture at the end of the SECOND recital. Mia was TOO cute on stage and I had no idea what to expect out of my SUPER SHY girl. She SMILED up on the stage all lit up with lights and acted like she's been dancing for years! I loved that her dance was to the Lion King rendition of "Can You Feel The Love Tonight!" Mia's first DANCE experience brought out the GIRLY side of me for sure and I will ALWAYS remember her twirls in the bright white lights up on that big wood stage. I love that color--it's so pretty! 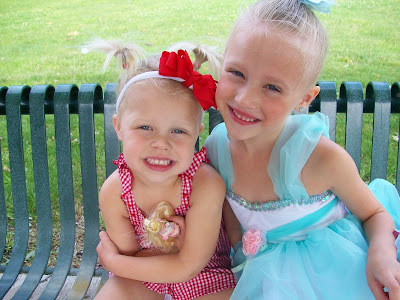 And the hairbow is darling...too cute! 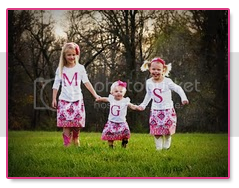 I love the pics of the whole family, so sweet and you're family is beautiful, sweetie! So cute, I totally know what you mean about being into sports and knowing nothing about dance. I'll let my little one dance though if she wants. 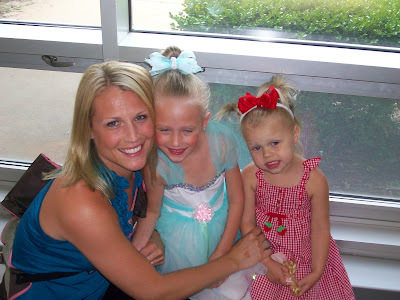 I love Gracie's dress at the recital, where did you get it?